SARANAC LAKE — Construction on the former Dew Drop Inn has stalled as the village will not issue a renewed building permit until after concerns about land ownership are resolved. 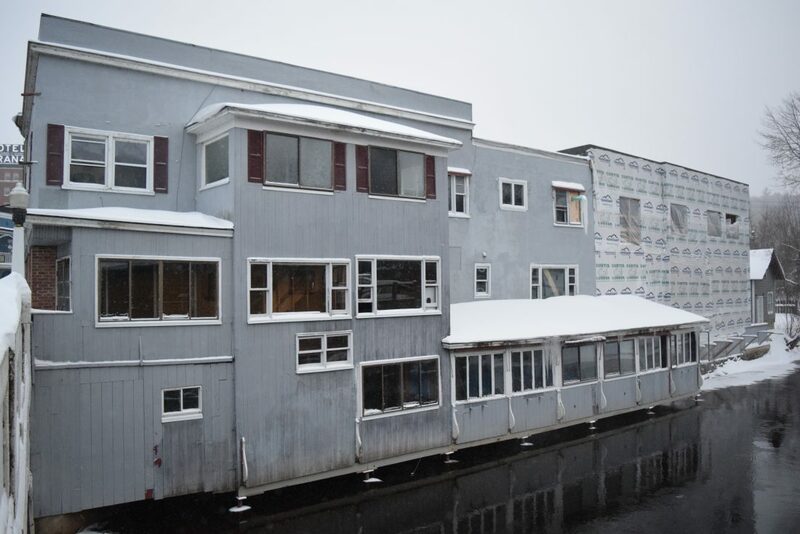 Co-owner of the property, Callie Shelton, had said renovation would begin in January, but the village has raised concerns about the portion of the former restaurant that has overhung the Saranac River for almost 70 years. Until this week, the first floor of this overhang was planned to become a patio space and an additional phase of the village River Walk. Shelton said the overhang is a non-issue. She said it is her and her lawyer’s opinion that the overhanging parts of the building have been there for so long that they are grandfathered in to restrictions against building over the water. She said this is much like Left Bank Cafe’s overhanging porches across the street. According to Franklin County tax records, the enclosed porches were built in 1950 when the building was owned by Forrest “Dew Drop” and Sheila Morgan. 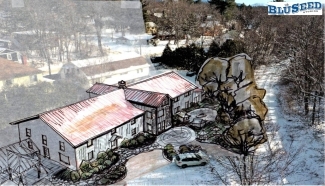 Shelton submitted a survey map and deed to the village Wednesday for consideration. 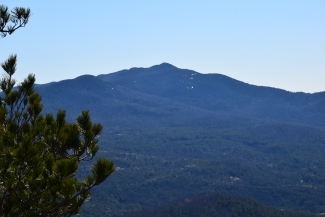 The deed contains a quit claim notation about a triangle of land outside of Shelton’s rear property line. “We can’t issue permits that are not clearly on their property and it is the owner’s responsibility to provide that information,” village Manager John Sweeney said. Sweeney said the village has sent Shelton’s information to its legal counsel for evaluation. The other piece of information that the village is waiting on is updated building plans. Shelton’s building permit expired in September 2018. Shelton said her architect submitted those plans Thursday. Village code enforcement will review the plans to make sure they are in line with the building renovation plan the Saranac Lake Development Board approved in August 2017. If approved, renovation of the former Dew Drop Inn may commence. However, work will begin at the 27 Broadway location on Monday in the form of soil testing. Sweeney said the village does not require a permit for soil testing and has given the go-ahead. Shelton co-owns the property with Randy Coles. They have not announced its new name but have said the property will open in phases to include a restaurant and bar, cooking school and short-term rental units.